If you are addicted to drugs, then there will come a time when you will try to get rid of the habit. And only by joining a good drug rehabilitation program will you be able to control your addiction and free yourself from the need to take drugs. Below, we look at seven tips that can help you select the best drug rehabilitation center. The first thing to look for is the license of the facility and the staff. Make sure that the rehab facility has been fully licensed and certified to operate a drug recovery program. Plus, all their staff members must also have the medical licenses that validate their expertise in caring for drug recovery patients. Drug rehab centers that are only out for making profit never take the necessary license or permits and usually employ untrained staff. You will not only lose money by visiting such a rehab center, but also your confidence and hope of recovery. If you need a rehabilitation center try WhiteSands, which is properly licensed and certified to provide care for drug recovery patients. Take a look at the therapies offered by the treatment center. A good facility will provide treatments that involve you individually and also as a member of the group. Some centers will also offer alternative therapies like meditation, yoga etc. to go with the regular treatment. These too can help with your recovery. The therapies must also have a good success rate. Look at how many people the facility has treated. If possible, call up anyone who you know has attended the center and inquire about the quality of therapies offered. If they answer in the positive, then you should definitely consider the rehab facility for treatment. Most rehab centers have specialized programs that focuses on specific drugs. And it is important that you only choose a facility that specializes in the form of drug you take. 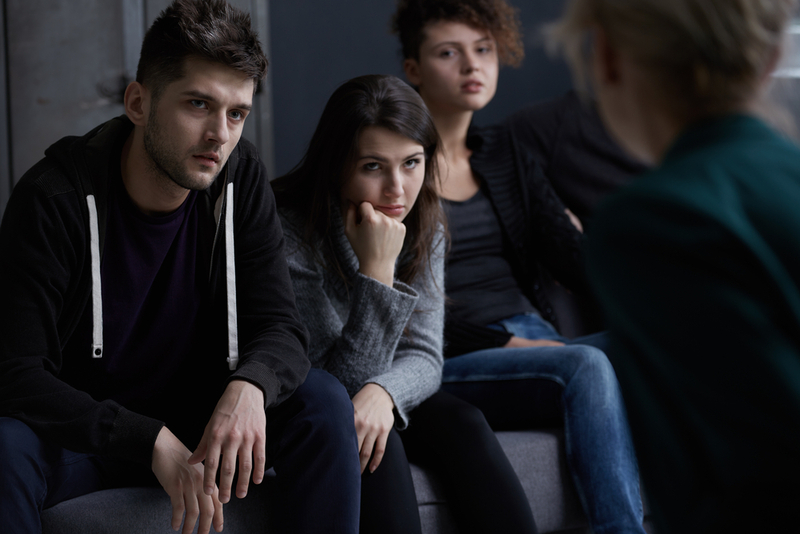 So, if you are addicted to sedatives, then you should only join a rehabilitation center that has a program designed specifically for people addicted to sedatives. This will ensure that you get the best possible treatment for your drug addiction. An important consideration for selecting a rehab facility is the cost. No matter how good a center is, you won’t be able to join it if the program is too expensive. So, inquire about the cost of the rehab program and prepare a list that ranks the facilities by cost. You can then strike out those that are expensive and only need to consider centers that you can afford. Now, if you have insurance, then you should inquire whether the policy will cover the cost of the treatment or not. Some policies do offer partial coverage for expenses related to drug rehabilitation while others will categorically refuse it. You should also look into the patients at the rehab center. As far as possible, you want to be at a facility where the patients are in the same demographics as you. For example, if you are a 24 year old guy, then you will be better off joining a facility that treats people of a similar age. Signing up for treatment at a center where most of the patients are 50 and above can turn out to be very depressing and inconvenient. Plus, if you are not too comfortable among the opposite gender, then the gender ratio of the facility should also be checked. Look at the type of aftercare support provided by the treatment center. Some rehab facilities will provide aftercare services like group therapies where you can interact with other recovering people. Similarly, counseling sessions may also be offered that will help you in case you face any emergencies like a relapse. Plus, programs like cognitive therapy can help you control underlying negative beliefs that lead to drug usage. Rehab centers that offer such aftercare services should be your top pick. You must also look at whether the facility will allow you to contact your family members during your stay. Some programs demand absolute seclusion from outside influences. As such, these programs often require patients to never contact family members during the course of the treatment. And considering that some treatments can run into several months, it will be a long time before you see your relatives. So, if you are not comfortable being cut off from your family members, then it will be better to avoid such programs. Only join a rehabilitation center that allows you to spend some time with your family every now and then.